Oakley is a spring line settlement at the foot of the Chiltern Hills on the route of the Lower Icknield Way. 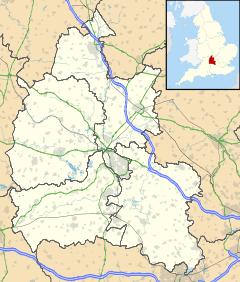 It is about 4.5 miles (7.2 km) southeast of Thame in Oxfordshire, England. It is in the civil parish of Chinnor, and 20th century housing developments have absorbed Oakley into that village. This page was last edited on 3 April 2017, at 00:12 (UTC).